New Games on Demand were released on 8/17/2010. (Online Interactions Not Rated by the ESRB) Download the manual for this game by locating the game on http://marketplace.xbox.com and selecting “See Game Manual”. The 2D fighting phenomenon is now an intense action strategy game! 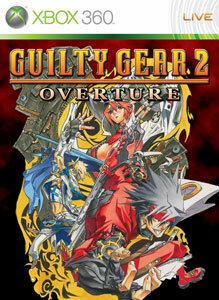 Build and command your troops while simultaneously fighting alongside them to clear a path to victory in the next evolution of Guilty Gear! There are no refunds for this item. For more information, see www.xbox.com/live/accounts. (Online Interactions Not Rated by the ESRB) This game supports English, French, Italian, German, and Spanish. Download the manual for this game by locating the game on http://marketplace.xbox.com and selecting “See Game Manual”. 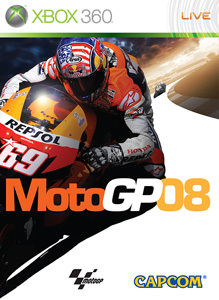 MotoGP™ 08 brings the premier motorcycling championship into your home! Speed down 18 official tracks all over the world including Indianapolis and Laguna Seca. Pit your riding skills against players from across the globe in a number of online modes. Customize your experience with different tires, bikes, and racers as you take risks and build your reputation. Delivering an unparalleled racing experience and featuring easy-to-learn controls, MotoGP 08 is the most accessible motorcycle racing game to date. There are no refunds for this item. For more information, see www.xbox.com/live/accounts. (Online Interactions Not Rated by the ESRB) This game supports English, French, Italian, German, and Spanish. Download the manual for this game by locating the game on http://marketplace.xbox.com and selecting “See Game Manual”. 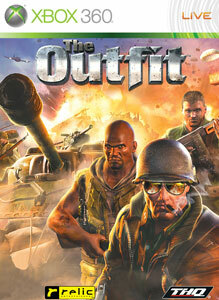 Combining intense squad-based combat with the freedom of total destruction, The Outfit takes players behind enemy lines, battling the Nazi War Machine through a variety of combat missions. Choose from three playable squad leaders – each with their own skills and abilities, as you lead a squad of battle-forged soldiers on missions ranging from reconnaissance and rescue to search and destroy. With interactive and fully destructible environments, you have the freedom to shoot, blow up or demolish anything in your path! Use “Destruction On Demand™” (D.O.D.) to order in everything from tanks, jeeps, halftracks and other combat vehicles to machine gun nests and anti-tank guns, squad reinforcements, even air strikes and artillery! With 720p HD, 16:9 Widescreen, and 5.1 Dolby Digital Surround Sound you can experience the cinematic intensity of WWII combat through 12 epic single-player missions, or go online for a variety of multiplayer modes, including co-op and versus. There are no refunds for this item. For more information, see www.xbox.com/live/accounts.